How Bringing Your Own Lunch Can Help You Save Money - And Lose Weight! Home » Blog » Travel Insurance » How Bringing Your Own Lunch Can Help You Save Money – And Lose Weight! How Bringing Your Own Lunch Can Help You Save Money – And Lose Weight! This entry was posted in Travel Insurance on 07/25/2016 by admin. Remember when your mother used to send you with lunch to school, as opposed to giving you money to buy your lunch? Whether she realized it or not, she was not only saving you money, she was helping you lose some weight! 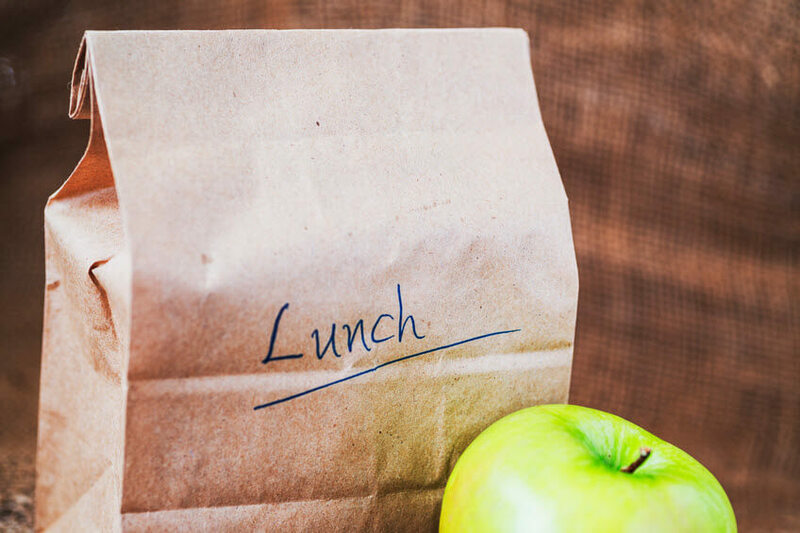 And now, you can take some of your dearly beloved mother’s tips and apply it to your life today — because in this blog post, we’re going to discuss how bringing your own lunch can help you save money and lose some weight with just a few simple tips and tricks! Saving money isn’t just for your low cost insurance! Coffee, statistically, is one of the biggest mark-ups that exists out there. Given that a cup of coffee at Starbucks can run upwards of $6, depending on which type of coffee you get, why wouldn’t you save some money by getting a single-serve coffee machine, where the coffee will run you about 5 cents a cup? You’ll also be saving a lot in terms of calories, as well. While coffee from a single-serve coffee machine has zero calories (note: the caloric value of coffee will fluctuate depending on what you put in it — creamers, sugars and syrups will all add various calories and/or fat to your coffee, so be careful), a coffee from Starbucks can run as high as 600 calories per serving! Sometimes, if you make more than you may need for dinner, it is a great option to take it for lunch the next day! Of course, the same rules of good diet apply — not too much fat or carbohydrates, a good balance of vegetables and proteins — but if you make a little more than is necessary for your dinner, you’ll have enough for lunch the next day, and you will save yourself quite a bit of money! One of the easiest — and most cost-effective — things to make for the entire week is a rice and/or pasta bowl. At typical restaurants or “grab’n’go” places, these bowls will run you up to $12 each, depending on what you put in the bowl. However, with that same $12 for the week, you’ll be able to make a whole week of pasta and/or rice bowls, and you can even switch up the contents of the bowl each day! You may be wondering: what if I can’t afford insurance? That’s where we come in: Freeway Insurance specializes in insurance policies of all kinds for non-standard customers. We understand that you need to save money, and we’re pleased to give you tips to save money on more than just your insurance. For more information about us and our services, contact us today to see what we can do for you.